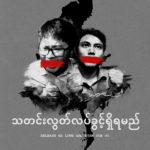 Wa Lone and Kyaw Soe Oo are two Burmese journalists who were arrested Dec 12th while working to uncover evidence of killings of ethnic Rohingya Muslims at Inn Din village in Rakhine State, Myanmar. This was just one of many massacres perpetrated by the military which journalists have been unable to report and document as evidence for war crimes because the government denies us access. Since September 2017, the world’s largest refugee crisis has been unfolding, nearly 800,000 Rohingya refugees fled state-sponsored violence in Myanmar for squalid camps in Bangladesh. Wa Lone and Kyaw Soe Oo had found photos and testimonies from perpetrators, including evidence of a mass grave. The evidence directly implicated the military and the government, which was something nobody had been able to do until now. Dec 12, a police officer asked to meet the journalists at a restaurant, and handed over sealed documents which he instructed them to open after leaving. Shortly after leaving the restaurant, the journalists were arrested and charged with violating the State Secrets Act, and denied bail. Last month the story they were working on that got them imprisoned was published. They were awarded the 2018 PEN Barbey Freedom to Write prize today. Nikki Haley demanded their release at a speech at the UN today. John McCain has demanded their release, as has the UN secretary general, and just about every single diplomat in Southeast Asia. To help raise awareness please use the attached images as posters, Facebook pictures, Instagram icons or wherever else you can think to use them. If you would like to support the journalists you can purchase a T-shirt with this design here. 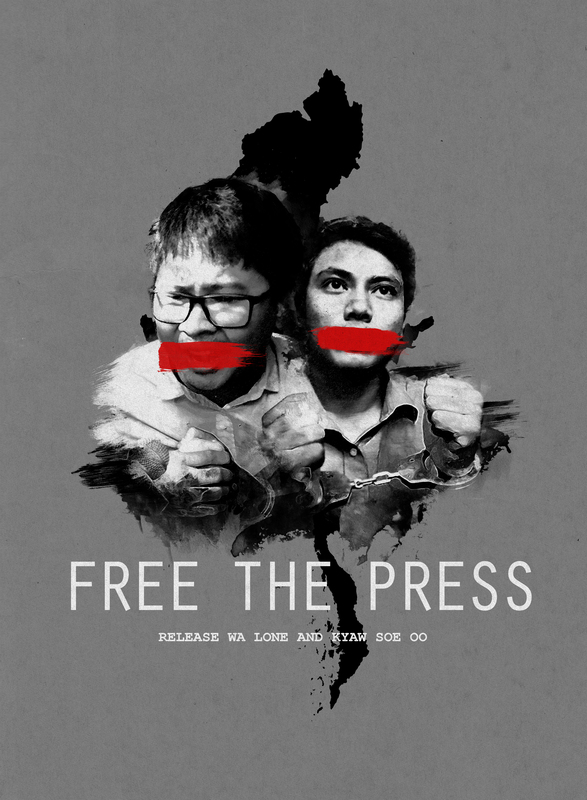 All profits will go towards the movement to free Wa Lone and Kyaw Soe oo. 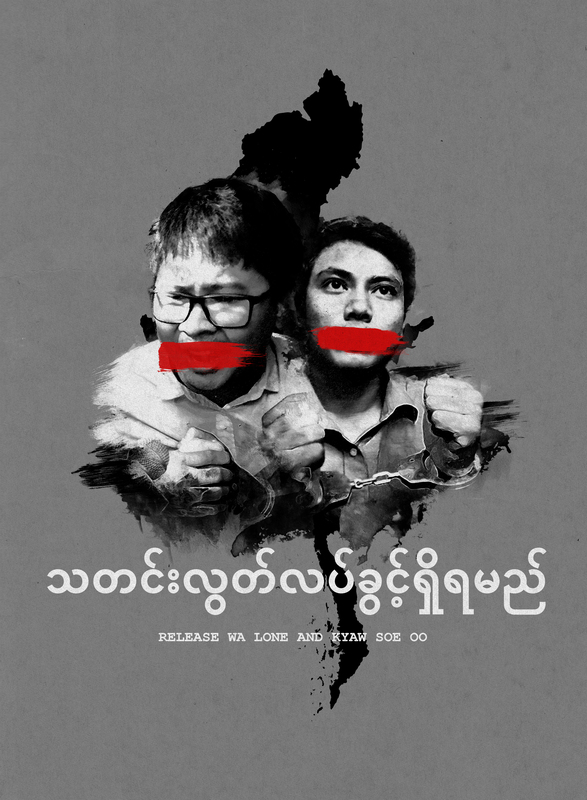 Below are links to download both English and Burmese versions of the poster design.